Home » Articles » Features » Preorder Bryan Washington's LOT Today! Preorder Bryan Washington's LOT Today! 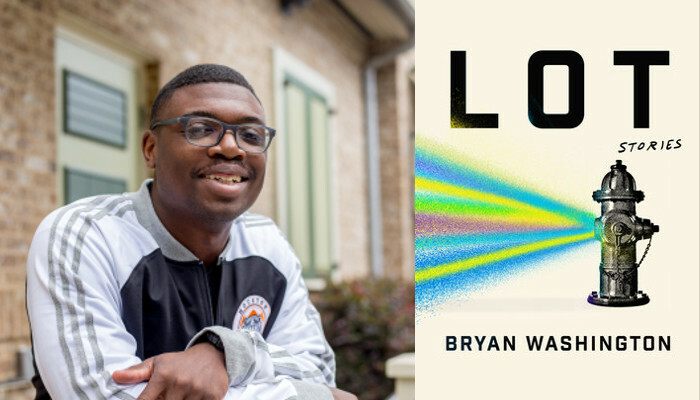 Are you excited for Houston author Bryan Washington’s new book, Lot? Pre-order today and reserve a copy that will be ready for you on release day! Simply place the book below into your shopping cart and check out with a credit card. Pre-orders must be paid in advance. This boy and his family experience the tumult of living in the margins, the heartbreak of ghosts, and the braveries of the human heart. The stories of others living and thriving and dying across Houston’s myriad neighborhoods are woven throughout to reveal a young woman’s affair detonating across an apartment complex, a rag-tag baseball team, a group of young hustlers, the aftermath of Hurricane Harvey, a local drug dealer who takes a Guatemalan teen under his wing, and a reluctant chupacabra. Bryan Washington’s brilliant, viscerally drawn world leaps off the page with energy, wit, and the infinite longing of people searching for home. With soulful insight into what makes a community, a family, and a life, Lot is about love in all its unsparing and unsteady forms. Bryan Washington has written for the New York Times, the New York Times Magazine, New York Magazine, BuzzFeed,The Paris Review, Boston Review, Tin House, One Story, GQ, FADER, The Awl, and Catapult. He lives in Houston, Texas.